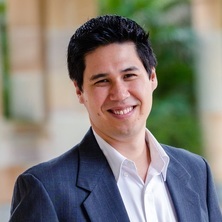 TYLER G. OKIMOTO is an Associate Professor in Management in the UQ Business School where he currently serves as Management Discipline Leader, and teaches courses on leadership, human resources, conflict/negotiation, and decision-making in the Undergraduate, MBA, and Executive levels. Prior to joining UQ in 2011, he received his Ph.D. in Social and Organisational Psychology from New York University in 2005, and worked as a Postdoctoral Researcher in the School of Psychology at Flinders University in Australia, and in the School of Management at Yale University. Dr. Okimoto's research investigates biases in organisational and ethical decision-making, particularly how those biases contribute to discrimination, unethical practices, injustice, and conflict within and between groups. In 2012 he was awarded the Early Career Researcher Award from the International Society for Justice Research for his contributions to the understanding of conflict and justice repair. Women are still heavily under-represented in the highest positions of power and influence. Part of this glass ceiling effect is driven by persisting gender stereotypes, stereotypes leading observers to judge a male manager’s legitimacy as a leader based on his effectiveness, while judging a female manager’s legitimacy based on both effectiveness and social appeal/warmth. How can women effectively manage the balance between perceptions of warmth and competence? Why is there such a strong moral-affective reaction against female leaders? What can organisations do to minimize the prevalence of stereotype-driven bias in their HRM practices? The experience of injustice and unfairness is inevitable in social, community, and organisational domains. However, it is often quite difficult to address such violations, partly because people have starkly different ideas about what is required to do “justice” (e.g., compensation, punishment, forgiveness, apologies, revenge, restorative conferencing). Why and under what conditions do people prefer one response over another? How can we predict when different responses will be deemed acceptable and legitimate by victims, offenders, and third-party observers? And what can organisational decision-makers do to minimize the divergence in opinions about justice? Despite the apparent prevalence of greed and deception by organisational and political leaders, most people actually have both a keen understanding of what constitutes a fair and ethically appropriate decision, as well as the desire to act in a fair/ethical manner. But even with both the knowledge and motivation, people still make objectively unethical decisions. In practice, it is difficult to remain vigilant in suppressing the non-conscious biases that colour our decisions, biases stemming from cultural stereotypes, ideologies, and intergroup dynamics. How do these unintended biases undermine our attempts to behave fairly and ethically? What can we do to avoid these decision-making pitfalls, errors that ultimately undermine our ability to make effective and socially responsible decisions? The beliefs, attitudes, and motivation of employees in organisations are affected by their level of organisational identification – the extent to which they define themselves as members of the collective group. How does identification affect reactions to threats, both intragroup (from within the organisation; e.g., deviance, betrayal, disrespect) and intergroup (e.g., competition, defamation)? What are the positive and negative consequences of such threats for the effectiveness of an organisation? Dr Okimoto's published work has been featured in numerous media outlets, including the New York Times, the Washington Post, the UK Guardian, the Daily Mail, the Atlantic, Smithsonian Magazine, Good Morning America, PBS News, ABC Radio, and US National Public Radio. His work has also been featured in a number of policy reports, inculding the American Association of University Women 2010 report, ‘Why so few? Women in STEM’; Harvard University's 'Gender Action Portal', aimed at closing gender gaps in business, politics, health, and education; and the National Academies Press 2014 policy report promoting equal opportunity in the U.S. military. On the relationship between justice and forgiveness: are all forms of justice made equal? Do Retributive and Restorative Justice Processes Address Different Symbolic Concerns? Okimoto, Tyler and Blader, Steven (2013). Ingroup bias in the enactment of organizational fairness. In: Martin Grimmer and Rob Hecker, Proceedings of the 27th Australian and New Zealand Academy of Management Conference: Managing from the Edge. ANZAM Conference 2013: 27th Australian and New Zealand Academy of Management Conference, Hobart, Australia, (). 4-6 December 2013. Okimoto, Tyler and Gromet, Dena (2013). The influence of offender amends and victim forgiveness on reintegration. In: Martin Grimmer and Rob Hecker, Proceedings of the 27th Australian and New Zealand Academy of Management Conference: Managing from the Edge. ANZAM Conference 2013: 27th Australian and New Zealand Academy of Management Conference, Hobart, TAS, Australia, (). 4-6 December, 2013. Okimoto, T. and Wrzesniewski, A. (2006). Inclusionary concerns and effort-based performance in groups: Expectations and peripheral membership. In: Australian Journal of Psychology. , , (43-43). .
Why do employees do bad things in the name of the organisation? : A multi-level investigations of employees'unethical pro-organisational behaviour in hospitality. Gender diversity in STEM (science, technology, engineering and mathematics): Is there a business case for family-friendly academic career paths?